Summary: Oh so citrusy! This cake is dense and moist and gooey. This is Mummy Asks new favourite! It is a quite different to a usual cake. You will need about 3-4 mandarins for the cake. You could use tangerines, oranges or tangelos instead. Wash the mandarins and add the whole mandarins to a small saucepan of water and bring to the boil. Allow mandarins to boil for 30 minutes and then drain and cool until cool enough to touch. Cut the mandarins in half and remove pips. Puree mandarins (skin still on) in the food processor. Add the butter, oil, eggs, sugar to the mandarin puree and mix well.Add flour and baking powder and process until just mixed. Pour the batter into a greased and lined cake tin. I used a large loaf tin. Bake in the oven for 50 mins (this may vary depending on the juiciness of the fruit so check at 40 mins) until a skewer comes out clean. Mine was perfect after 50 mins. It should be very brown and may crack on top, that’s fine. Allow to cool in the tin for 15 mins then cool on a tray. Dust with icing sugar and serve. I made and froze a slab of this cake and 2 slabs of chocolate cake. Defrosted them months later, layered with white chocolate ganache filling, then smothered the whole thing in milk chocolate ganache frosting, then covered top with drizzles down the side with dark chocolate ganache glaze. All for a special boys 21st. Was a great hit. I’ve made this cake so many times successfully and given away quite a few to rave comments. I still have heaps of mandarin on the tree. I made this cake tonight and it smells beautiful. I substituted 1/3 flour for almond meal. This recipe is light like a butter cake but smells glorious. I prefer it to the all almond meal version. Hi Sarah.. great cake.. I substituted half organic spelt flour – and used dark brown sugar and only 1 cup – then candied some mandarin peel thinly sliced in water and jaggery (Indian unprocessed sugar) till it was dark candied .. put a little of that on top of the cake before cooking – then served it with some more of that on the side and creme fraiche. It dropped a bit when it came out of the oven.. but was delicious. Will definitely make it again.. thanks for the inspiration. I am so glad you enjoyed this cake and that all your changes worked well – they sound delicious! I can’t see why it wouldn’t freeze! If you need more info on freezing cakes, I found this useful. Happy baking! Thanks, made a double lot yesterday and half is in the freezer, other half has been demolished. Glad you put the weight of mandarins in the recipe. My 3-4 mandarins weighed over 500gms , not 250 :). Don’t know what would have happened if I had just counted them! I made and froze a slab of this cake and 2 slabs of chocolate cake. Defrosted them months later, layered with white chocolate ganache filling, then smothered the whole thing in milk chocolate ganache frosting, then covered top with drizzles down the side with dark chocolate ganache glaze. All for a special boys 21st. Was a great hit. Would include a photo but don’t seem able to. I made this Mandarin cake and gave some to my next Door Neighbour who described it as “Spectacular” and has put in an order for another one! Very pleased with how easy it was to follow! I am so glad you like this recipe, it has been very popular! I have lots of cake recips but you might like my stupidly easy carrot cake too. Happy baking! Fantastic recipe, so easy and delicious. Kids love it! One observation, I’ve baked using baking powder and when I didn’t have baking powder just using self raising flour. Both version turned out well but thought self-raising flour raised better. Have you tried this as well? What are your thoughts? Glad this has been popular in your house! I haven’t tried self raising as I don’t usually have it on hand but its a great tip and I might add a note to the recipe. I made this cake today and just had a slice for sweets. 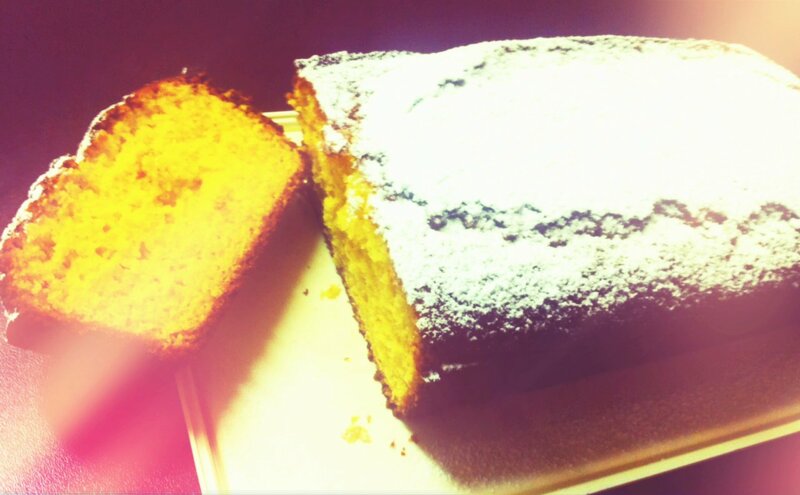 It is a really delicious and moist cake that was easy to make. Thankyou for sharing the recipe.